Making his Kokandy debut is so very! Ballou was last seen in the premiere of Melancholy Play: a chamber musical with Piven Theatre Workshop. Other Chicago credits: Pericles (Chicago Shakespeare Theater); Hit the Wall (The Inconvenience); Veronica’s Room, Tartuffe (BoHo); Pride and Prejudice (Lifeline Theatre); Beyond the Fringe, Henry V, Twelfth Night (Oak Park Festival Theatre). Ballou received a Jeff Award nomination for Best Principal Actor in Amadeus with Bohemian Theatre Ensemble. 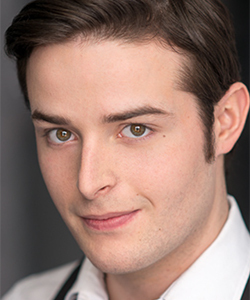 Chris is a proud alumni of Chicago College of Performing Arts at Roosevelt University and British American Drama Academy.